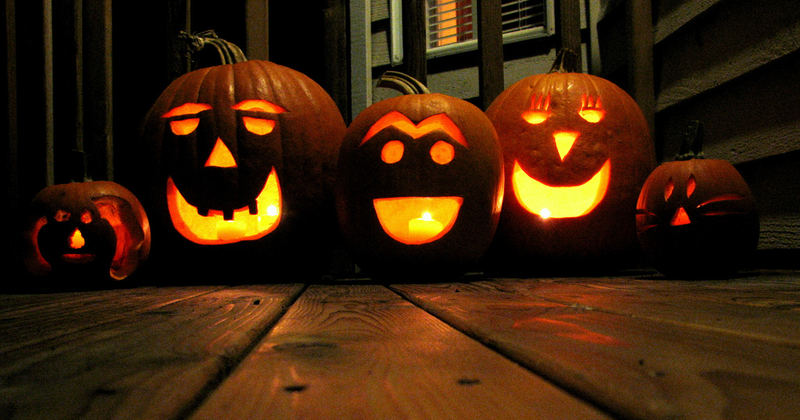 The earliest origins of Halloween date back about 2,000 years to the Celtic festival Samhain (pronounced sow-en because the Irish are funny like that), which translates to “summer’s end.” It celebrated the final harvest before the dark half of the year when the frost would come and the days would shorten. Samhain lasted for three days—October 31 to November 2—and these days were known as “no time.” During the “no time,” chaos reigned and people were allowed to flout society’s order and play pranks, like moving someone’s livestock to another’s field or opening gates so that animals could run away. In the midst of this, the festival raged with bonfires, dancing, and mead. But Samhain wasn’t all fun and games. 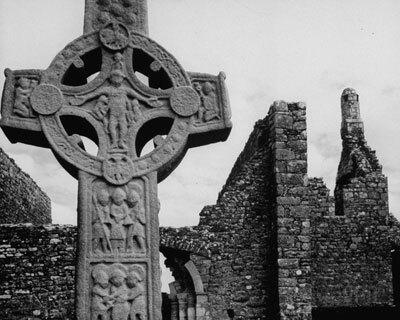 During the festival, the Celts believed that the curtain between the worlds of the living and the dead were drawn back, allowing the spirits of the dead to walk the earth. Their presence played a part in divination rituals that took place during this time. The pagans freely enjoyed their festival until the Christians came along and tried to take over, like always. Pope Boniface IV dedicated the Pantheon in Rome to honor Christian martyrs, establishing the feast of All Martyrs’ Day on May 13, 609 AD. But when they realized they needed to start converting the pagans by providing Christian alternatives to their holidays, Pope Gregory III expanded the holiday to include saints as well, moved it to November 1, and introduced All Saints’ Day. By 1000 AD, Christianity had blended with the pagan festival in honor of the dead for All Saints’ Day and All Souls’ Day on November 2. The word Hallowe’en doesn’t appear until the 16th century as a contraction of All Hallows’ Even (evening), the night before All Hallows’ Day. The practice of trick-or-treating, known in the past by other names, dates back to the Middle Ages and a tradition called souling. Souling was when the poor folk would go door to door on November 1 (Hallowmas) and receive food and soul cakes in return for prayers for the dead on November 2 (All Souls’ Day). Adding to the chaos of the three-day festival of pranks, children in Scotland took up guising: dressing in costume and going door to door for food or coins, and if they were not obliged, then the children would play a nasty trick on them. The reason for the tradition of dressing up in disguise comes from the idea of the dead returning to earth, which meant that evil spirits could rise. To protect themselves, people masqueraded as demons by wearing masks and blackening their faces with soot. Apples’ presence during Halloween is inevitable, as that is when they are in season, but certain rituals formed from the importance of the apple harvest. A Roman festival near the time of Samhain honored Pomona, the goddess of fruit trees; she is often symbolized as an apple. As part of the divination games held during the festival of Samhain, women tried to predict who they were going to marry (sort of like an ancient version of MASH). Single women would attempt to take a bite from an apple floating in water or suspended on a string, and the first person to succeed was believed to be the next to marry. The simple act of catching a bite promised good fortune. In Ireland and Scotland, the tradition of souling included carving turnips into lanterns in order to remember the souls held in purgatory. When immigrants came to America, they discovered the pumpkin, which was both readily available and much larger than a turnip, making it easier to carve. Pumpkin carving became an American tradition in the 19th century, and while it was originally associated with harvest time, it soon became part of Halloween itself. The idea of the jack-o-lantern, whether it be pumpkin or turnip, comes from an Irish myth about a man called Stingy Jack who tricked the Devil. The legends vary from him trapping the Devil in an apple tree to stealing a free drink or two using the Devil’s coins, but it all boils down to the result, which is that the Devil is either unable or refuses to claim his soul. When Stingy Jack dies he cannot enter heaven because of his wrongdoings, and he cannot go to hell, so he is left to wander the darkness alone. The Devil gives him an ember from the fires of hell to help him see. Stingy Jack places the fire into a hollowed-out turnip and continues to roam, trapped between heaven and hell. 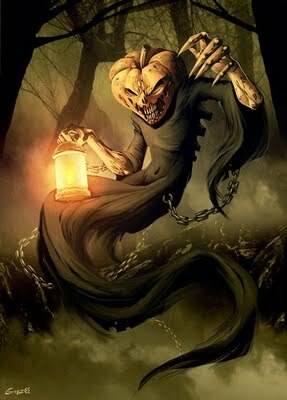 He became known as “Jack of the Lantern,” or Jack-o’-Lantern. 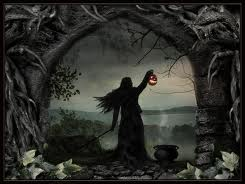 Today, Halloween is celebrated in many parts of the world, with a stronghold in Ireland and America, to which it is inextricably tied through the original Celtic customs of Samhain and the American addition of pumpkins (without which we’d all be carving turnips. You’re welcome, world). While it may seem a frivolous night of candy and goofy costumes, remember the ancient festival in which we all partake on the eve of All Hallows, when the dead return to roam the earth and darkness descends on the harvest season. Entertaining and educating, two of my favourite things wrapped up in one blog post. I’m likely going to copy this and keep in my files of randomness for when I teach. I certainly didn’t know most of this (…or any of it), and I’m fairly certain that there are children out there who would be interested in knowing these things. Thanks! It’s so hard not to love fall. Easily my favorite season.